N.O.A. debuts on Discover Dark with this fierce two tracker. The Route brings with it searing acid lines and a huge riff with a very dark edge. The Landscape carries equal weight delivering similar levels of tension and mayhem that are perfect Discover Dark fayre. Definitely not for the faint hearted!!! 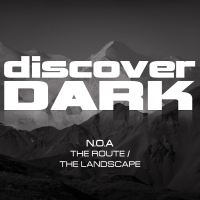 'The Route / The Landscape' is available now from Beatport and iTunes.